Muscogee Creek are a Native American tribe of the Southeast. Traditionally the tribes were mound builders that lived in small towns with a distinct political organization. The Creek were mainly stationary and were great agriculturalists. A Creek woman would grow corn, beans, squash, pumpkins, and melons in a private family garden and would also have a plot within a community garden in which the entire town would tend together. In addition to growing crops, the Creek women would gather local plants such as wild onion and berries. The Creek men would hunt deer, bear and small game such as squirrel. Corn was a main-stay in the Creek diet and many social and spiritual ceremonies including the Green Corn Ceremony are still a very important part of Creek culture. 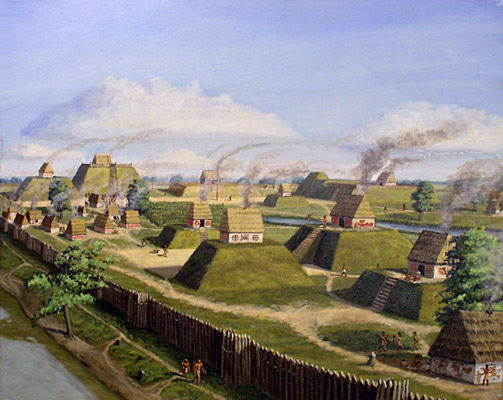 Creeks were mound builders and lived in small villages. Creeks planted a small private garden where the women of the family grew corn, beans, tobacco, and other crops. Outside the town a larger plot of land was used for the communal field in which the main food supply was grown. Corn, beans, squash, pumpkins, and melons were grown in abundance. The Lower Creeks also grew rice. Hickory nuts and acorns were a source of sustenance. Hunting deer and bear and fishing also supplemented the food supplies. Pork was introduced by Europeans. Though widely used today, ethical and health issues have surfaced. How I got interested in the food-systems of the Native American Southeast was through my children’s mother, Aria. According to her family’s oral tradition, she is descended from Creek grandmothers, through her mother’s side of the family. They came out of the Coosa River country of Northern Alabama, the traditional homeland of the Mvskoke Red Stick (resistant to European colonization) Upper Creek villages that fought against the theft of their homelands. The removal of the nations of the Creek Confederacy only happened after a colonizing army, under the command of Andrew Jackson and with the military help of the Cherokee nation and assimilated Lower Creeks, defeated the outnumbered and outgunned Mvskoke at the Battle of Horseshoe Bend in northern Alabama. This event happened in 1814 and Mvskoke sovereignty was never reestablished over Alabama. By the 1830’s Pres. Jackson’s Indian Removal policy was in full swing and most Mvskoke and other Creeks were forcibly removed to Oklahoma, fled to the swamps of Florida to become the Seminoles, or tried to blend in. Aria’s grandmothers managed to blend in and stay in the Coosa country, although virtually all Mvskoke culture was extinguished from her family, probably thanks in large part to intermarriage with colonizing men who did not practice Creek culture or values. Menawa was one of the principal leaders of the Red Sticks. 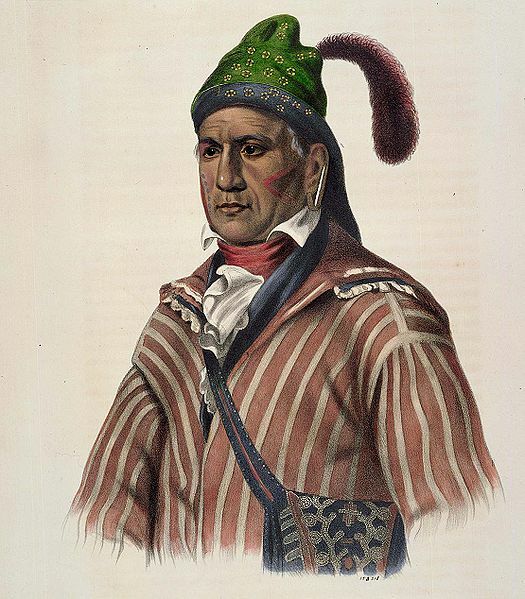 After the war, he continued to oppose white encroachment on Muscogee lands, visiting Washington, D.C. in 1826 to protest the Treaty of Indian Springs. Painted by Charles Bird King, 1837. In researching her family history I came across numerous references to Mvskoke cultural practices and life-ways. Prominent was their cultural food-system based solidly upon the cultivation of many varieties of maize (corn) and complimentary vegetables. Beans and squash also figured prominently in their traditional diet, as well as gathered foods, and hunted meat. Later, when collective land was lost to colonization and wild gathering and hunting became impossible, Creeks diets gradually became almost indistinguishable from surrounding working-class colonizers and freed slaves. The prospect of creating some old-time traditional foods from the Mvskoke side of the family was exciting to me. Especially since it could easily be four generations since anyone in the family had prepared food in the Mvskoke way with the intention of eating Osofkee. No one in the family knew how, so I was very fortunate to make contact with the Mvskoke Food Sovereignty Initiative (MFSI) organization in Okmulgee Oklahoma. Many of the removed Alabama Creek families still reside in the area around Okmulgee and I was happy to discover that an effort is being made to keep Mvskoke food-culture alive. I spoke with a representative of the MFSI over the phone and she was very willing and helpful, and supportive of the goals of our class. My own contribution to the feast was vegan Osofkee, a hominy and vegetable stew. By leaving out meat and adding mashed winter-squash in the Osofkee our group could offer vegetarians a taste of Mvskoke-style cooking without requiring them to compromise their 21st century ethical commitments and dietary practices. I liked it a lot! The kids ate it too, and then had a wonderful time playing outside for the remainder of the feast. There is a lot of energy in Osofkee! Our group’s meat-based and meatless Osofkee was quite flavorful when mixed together too as I found out when taking care of the children’s left-overs! It is my hope that our children’s Mvskoke grandmothers would have approved of our humble offering.